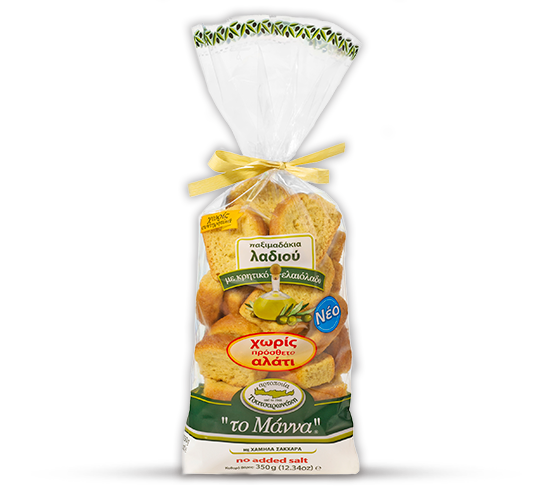 Relying on faith in tradition, but always looking innovatively forwards, we adapt to new trends, creating new choices that meet the consumer's current needs for small and medium sized rusks. 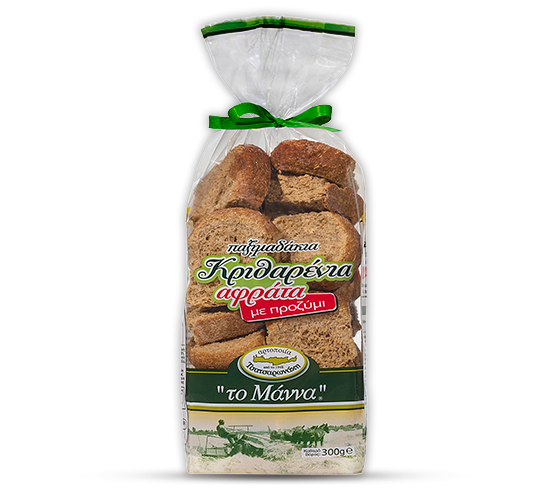 Small barley rusks with no added salt 400gr. 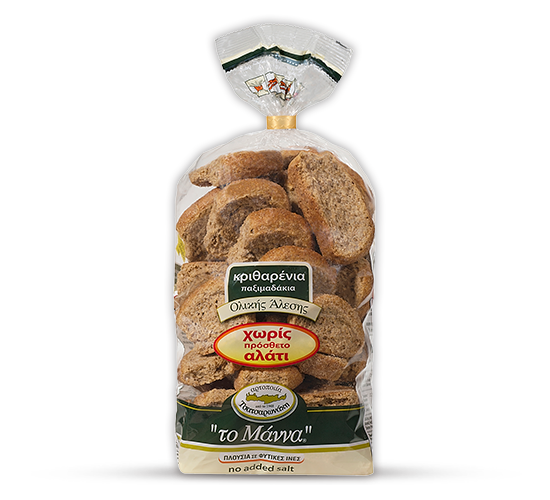 Small soft wheat rusks with no added salt 300gr. 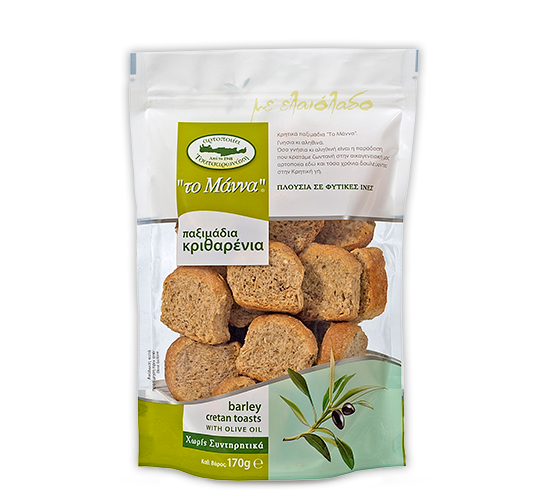 Small Cretan olive oil rusks with no added salt 350gr. 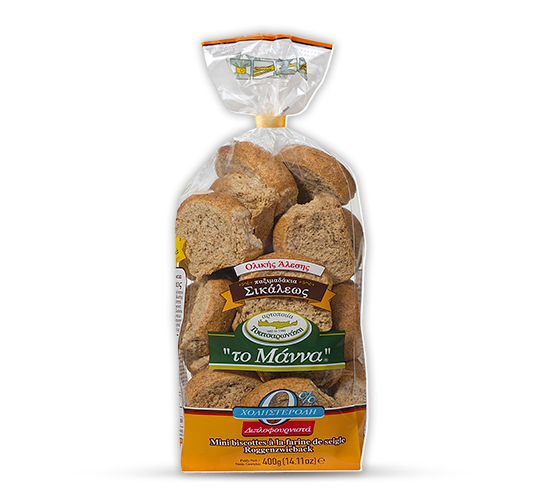 Small barley rusks with no added salt 160gr. 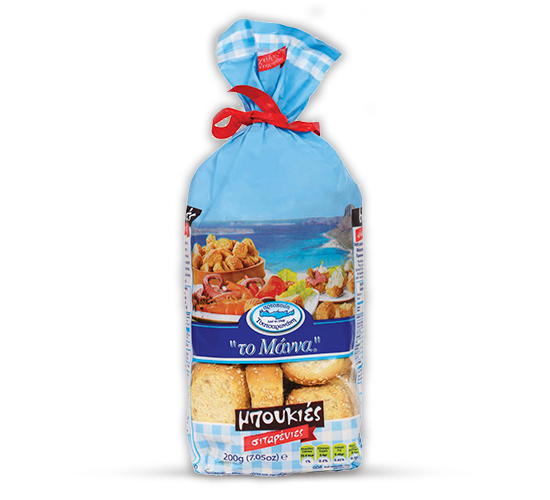 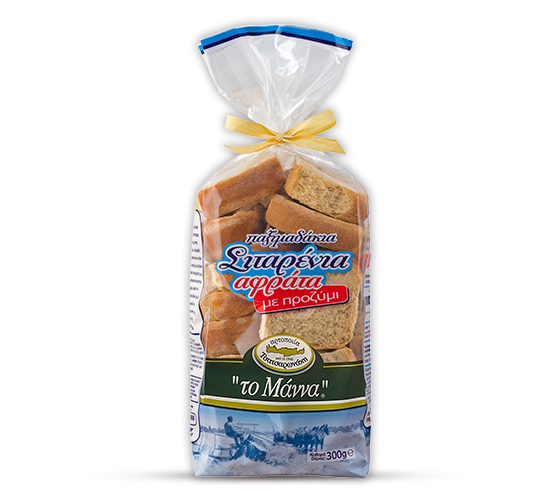 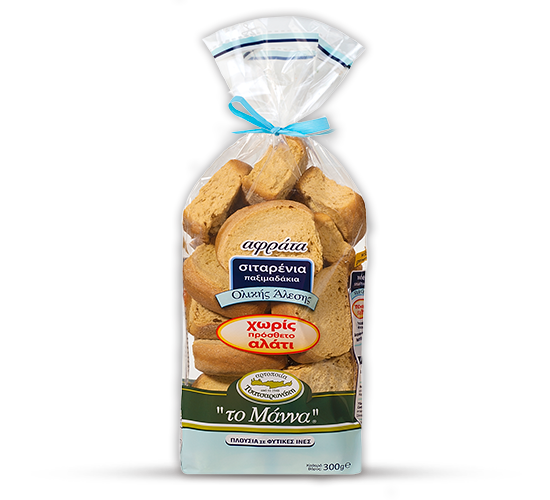 Kythira type small rusks with Cretan olive oil 500gr. 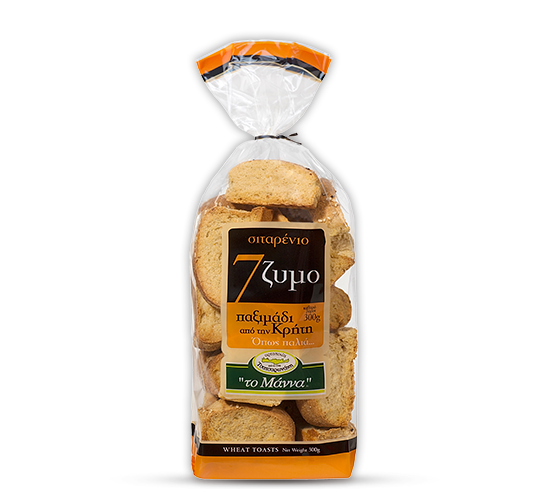 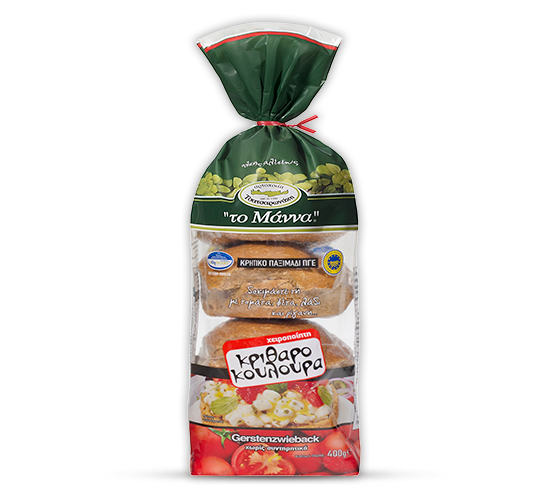 Kythira type rusks with Cretan olive oil 200gr. 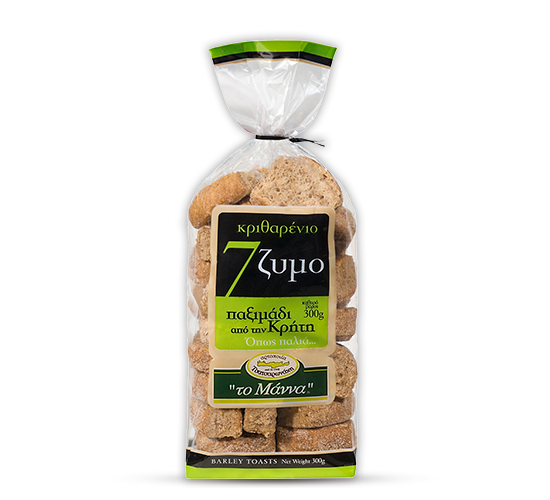 Small barley rusks with olive oil 170gr. 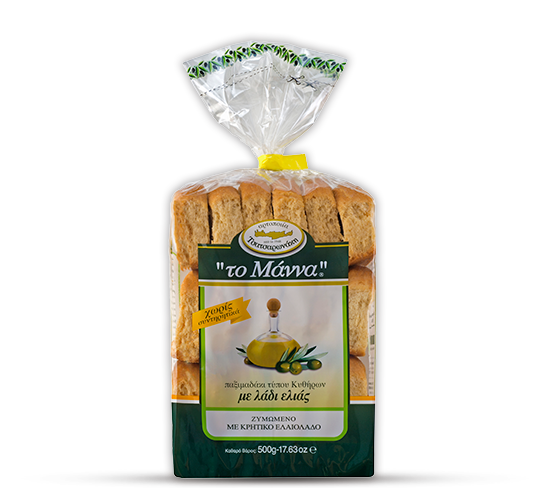 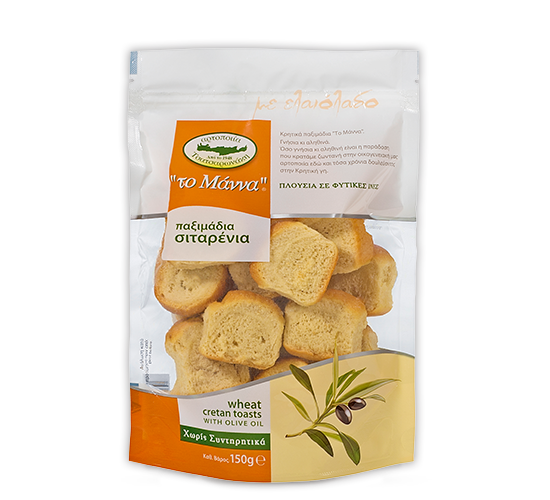 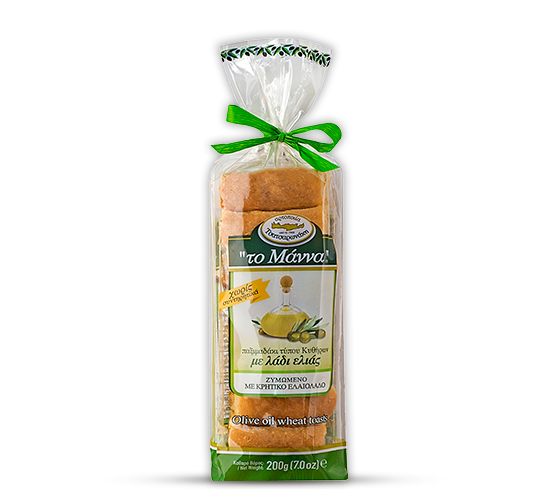 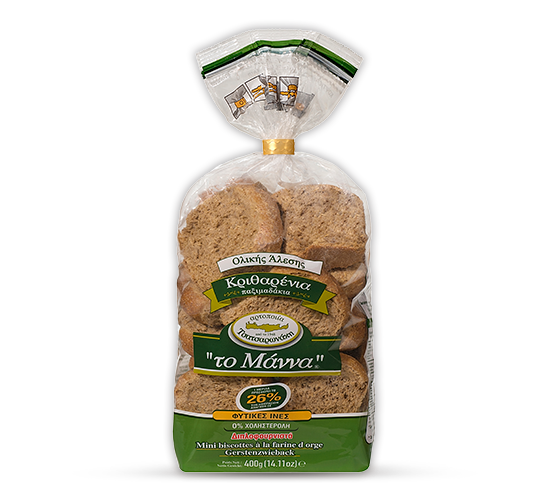 Wheat rusks with olive oil 150gr. 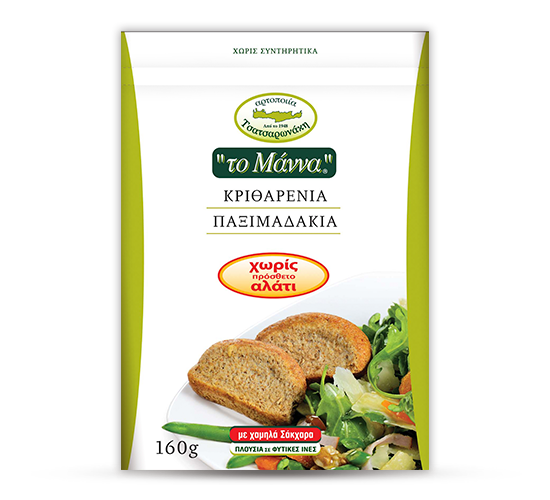 Mini round barley rusks 400gr. 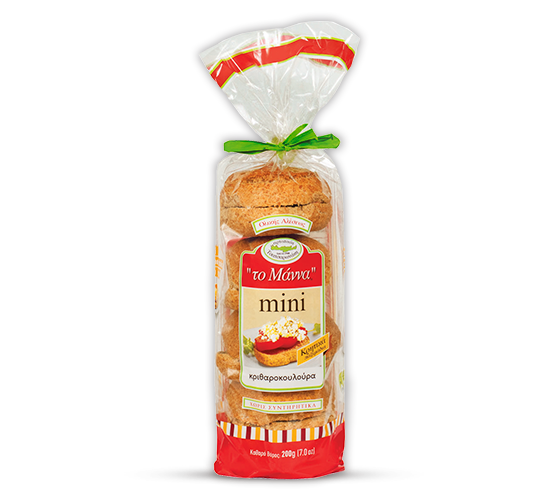 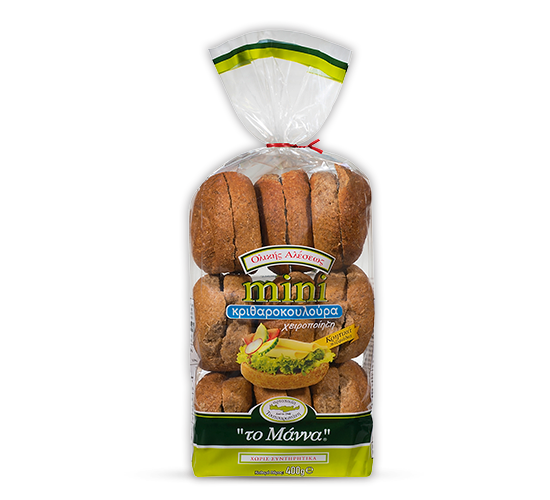 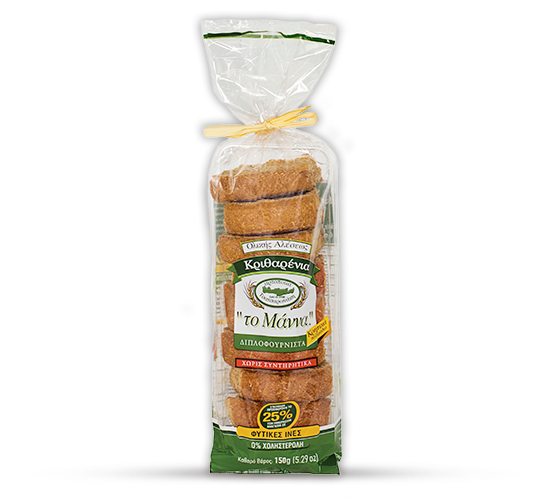 Mini round barley rusks 200gr.